Bethany Hamilton has become one of the most inspirational comeback stories of our time. Well on her way to becoming a champion surfer at thirteen, Bethany lost her arm in a shark attack. With determination, she mounted her surfboard only one month later to begin one of the greatest tales of triumph over tragedy this generation will ever witness. With resilience and tenacity, Bethany went on to become a world class champion surfer and earn a spot in the Surfer’s Hall of Fame in 2017. Millions of people across the globe have been captivated by her story, which has been the subject of several books and the movie “Soul Surfer” and a soon to be released documentary ‘Unstoppable: The Fearless Life of Bethany Hamilton”. This relatable wife and mother of two continues to enthrall her fans as they watch her keep pushing boundaries through determination and faith, yielding to God what could have once been considered her greatest weakness and allowing Him to turn it into her greatest strength. God used this life-altering and potentially dream-ending “tragedy” to give Bethany a worldwide platform to share her story and her faith to inspire others to reach beyond their setbacks and circumstances to find purpose and passion… to BE UNSTOPPABLE. 6:00 PM VIP EVENT Seating will be reserved tables. 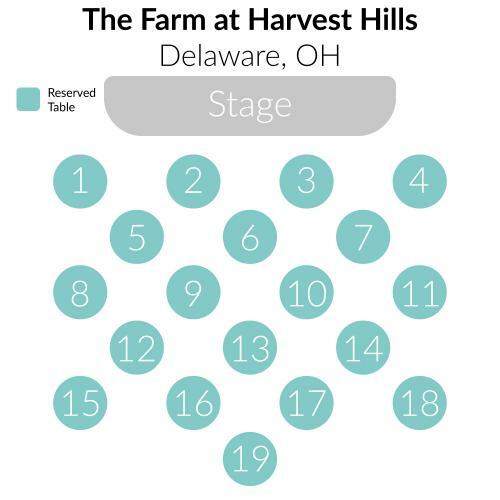 You will be able to pick a seat at your reserved table assignment when you arrive. Use the code "Unstoppable" and receive the tickets for half off!